I would say not to grease it at all bcause blue magic clogs the pores in your scalp. Hello thanks for clicking ym question.Is hair grease good for african american scalp.I've used it all my life and it kept my hair healthy and long. I currently use blue magic hair grease(castor oil) It lasts for 4-5 months and th jar is big.Do you think that it is good for the scalp and how often should i grease it?Heres my routine tho (monday,wednesday and friday)..What do you think?? You already answered your question. IMO Mineral oil gets a bad rap. I use dominican products laden with mineral oil and its works for my hair just fine. I learned to listen to my own hair and its likes and dislikes. i also use Nu Gro grease with petroleum mixed with Boundless Tresses 3x a week with no issues. If youre concerning about the health of your scalp, just add some Jojoba oil to your shampoos to get rid of hardened sebum that can clog hair follicles. You can have this condition without using grease. Oil dissolves oil. Man I haven't used Blue Magic in a decade. But what I do remember is that it made my hair feel stiff and dry but greasy. But back then I didn't know about water and using grease only to seal the moisture. I thought grease was the moisture. If it works for you, by all means keep using it. For me I just don't have the urge to go back to it. It is a bit heavy on my scalp. Even though my scalp produces oils, there is an area on my scalp where it is just bone dry. Therefore I need to put some kind of emollient oil on there, after a rosewater spritz. Good luck. Weighted my hair long ago so stopped using it...my only use for it is emergency moisturizer after a shower. 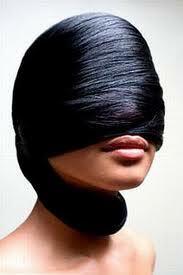 Or something to coat the perimeter of my or my boyfriends hair for hair dye days. Wow, I hadn't thought about Blue Magic in years. My mom used to use that in my hair back in the day. You brought back some sweet memories... hot combs, sitting in the kitchen getting my hair done... Good times. As for using it now, I'd have to say "No." I use it, I love it. I used it on my scalp in the past but stopped when I heard it clogs the pores. I used it on my ends while bunning and after about a week my ends were nice and soft. I think its probably good at sealing.